We are in Portsmouth collects and recycles milk bottle tops for the charity of your choice. This started firstly with Naomi House doing the collecting and us the recycling. When Naomi moved to collecting old mobile phones we were overwhelmed with calls from collectors to carry on the recycling. We now collect through most of the South of England and get calls from all over the country. There is a minimum payment amount of 500 kgs but we are happy to collect (if you live in an area we collect from) or for you to deliver smaller amounts and we will keep this on file and let you know on request how your total is increasing. Our granulated tops go to make hard plastic toys for children, such as slides and other garden toys. They also go to make more bottle tops! 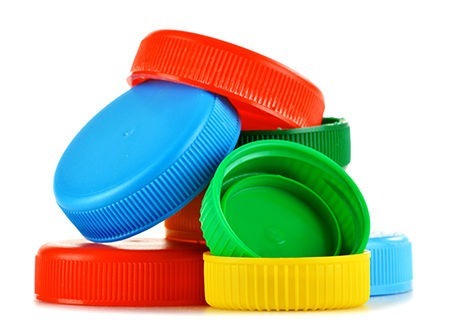 We are looking for a national company who we could persuade to receive bags of bottle tops at their stores and bring them to somewhere in our area where we can collect in bulk. We’re always looking for companies who have the storage space for drop off points to help more people collect. Please contact us if you feel you could help.